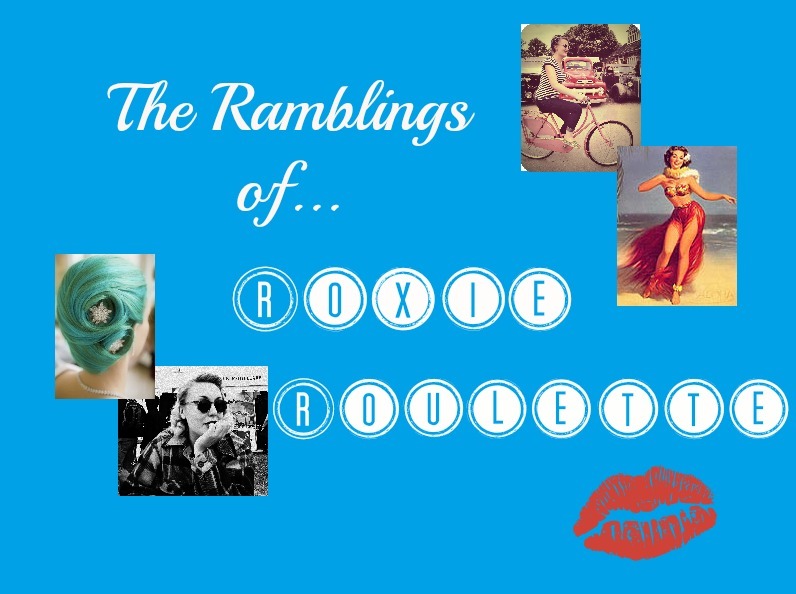 The Ramblings of Roxie Roulette: Waves On D-Day. Phew! I have been working my little tush off recently! 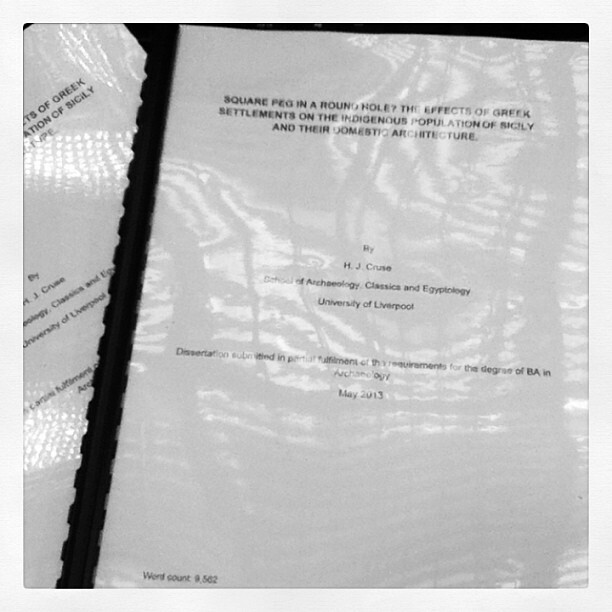 Yesterday I completed my dissertation - all 9,562 words of it! That's not to say my toils are over, I still have two more massive assignments to complete, but come the 22nd May I will have completed my university life and will be out there in the big wide world. Look at it all bound and looking official! 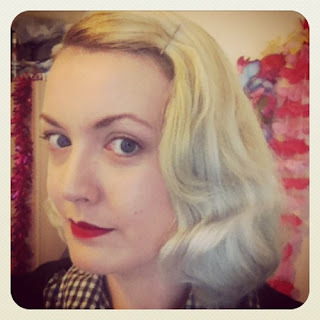 In other news, I tried out a new hair set this week and utterly fell in love with the results. 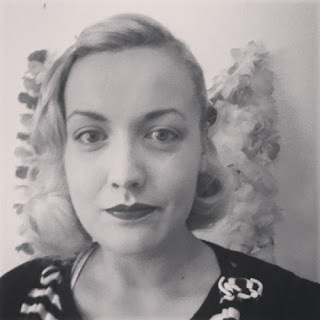 It is much looser than the more 50s style I usually wear but is just as elegant. I think it has quite a late 30s early 40s vibe to it which is something I've never achieved before. I used bigger foam rollers (I'm going to guess they're about 1.5") and set them around the base of my head at the back, and then in two rows on the heavy side of my hair so I could structure in the wave the next day. 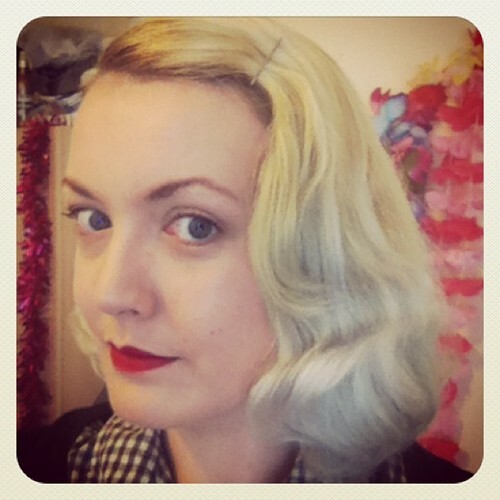 It's the first time I've set a successful finger wave so I was pretty chuffed - the photos really don't do it justice! Definitely trying this set again soon - I might even do a tutorial for it over on my Youtube channel! I know it might be late, but congratulation on completing your dissertation paper! Well, how’s the post-dissertation life going? The physical, mental and emotional stress of dissertation writing is now over, right? Anyway, are you now in the big wide world? Well, I think it would be a good idea if you can continue your study and get a master or PhD.